This school opened in 1909 and closed at the end of the 1978-79 school year. Additions to the school were made in 1929 and 1954. (The above photo of the school was taken ca. 1925.) The school was demolished to make way for the new I-630 (Wilbur Mills Expressway). 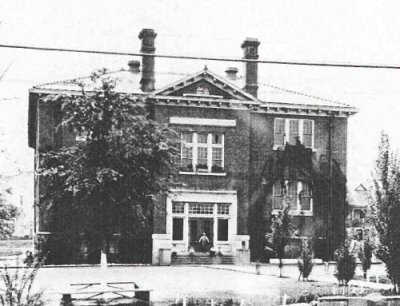 Rockefeller Elementary was built nearby to replace this school. 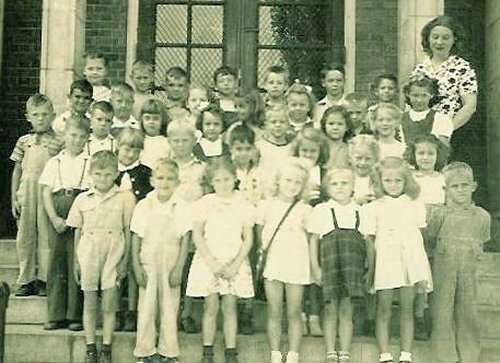 Parham Elementary, 1946. Photo courtesy of Myrna Parker. Some artifacts from the school were placed in storage at the Arkansas Museum of Science and History (now the Museum of Discovery) in 1994. These items still are the property of the Little Rock School District and include a brick from the original foundation, newspaper clippings concerning the school's closing, Parham PTA booklets from the 1930s and 1940s, old photographs and scrapbooks (LRSD has copies of some clippings). The items at the museum were collected by Mrs. Louise Bloom, one of the teachers at the school during its final year. She encouraged her students to search out the history of the school and to go through the attic and basement in search of pictures, scrapbooks, documents, etc. Bloom and her students collected the artifacts and brought them to the museum shortly before the school was demolished. 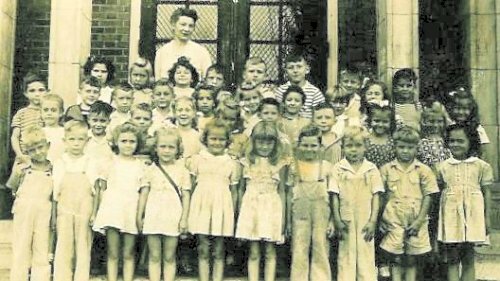 Parham Elementary, 1947. Photo courtesy of Myrna Parker. Major Richard H. Parham, for whom the school was named, taught in Little Rock schools in the 1880s. 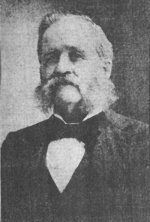 He was principal of the Scott Street School in 1887 and the Kramer School in the early 1900s. He later returned to the classroom at Little Rock High School, teaching many different subjects, and finally retired as the school's librarian some time around World War I. During this time he also was an examiner for the County School Board. Parham died in 1924. After his death, the Alumni Association of Little Rock High School established the R.H. Parham Memorial Loan Fund in his honor "for the benefit of deserving students." Quapaw Quarter Chronicle. August 1978, p. 9. Newspaper article pasted in Parham School scrapbook [article origin unknown]; scrapbook at Museum of Discovery, Parham School collection. Copy of article in LRSD archives.